Yes Bank said it is set to unveil a branch to be operated exclusively by women. 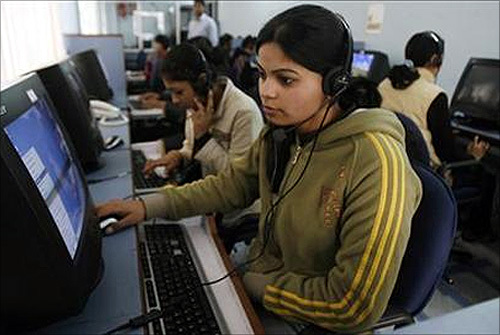 Ahead of the International Women's Day, India Inc on Monday affirmed support to the cause of their empowerment, announcing a slew of initiatives including an all women bank branch, work from home schemes and commitments to improve the share of the gender among employees. Private lender ICICI Bank said women employees will be able to work from home for a long period of time up to a year, and also announced to pay for a child and caregiver's travel if a woman with child under three years has to travel out of the city for work. Yes Bank said it is set to unveil a branch to be operated exclusively by women in the north western suburb of Mumbai - Vile Parle. Consumer electronics major Canon announced that it will be targeting to increase the number of women in its workforce to constitute a fifth of the workforce by 2018, up from the present 12 per cent. Country's largest lender State Bank of India (SBI) said it will conduct 100 free health check-up camps for women which will focus on curative, corrective and preventive healthcare for the under privileged women. This will include eye check-ups, cancer detection, reproductive healthcare check-up and diabetes check up. Elaborating on the initiative launched by her bank, ICICI Bank's Chanda Kochhar said women are forced to quit their jobs or take leaves due to 'life stage needs' like maternity and child care, which can be taken care of by an ability to do the same job from home. "Women can contribute to the best of their abilities even while working from home. Women employees can avail of this programme for an extended period of time, depending on their needs," she said, adding that women in core functions can also work from home. The bank has created a secure system with the help from IIT-Delhi which will allow them to undertake critical functions, like checking documents for disbursement of loans and cheque clearance. DocsApp, a healthcare start-up based in Bengaluru, said it is offering women to consult any specialist on the app for Rs 8 only for the eight day period, leading up to the celebration of the International Women's Day on March 8.